Liebherr Machines Bulle SA, the Liebherr group engine manufacturer, has chosen emissions technology specialist Eminox to supply exhaust systems to achieve Stage 4 emissions standards. The systems, based on SCR (Selective Catalytic Reduction) technology, will be fitted to the complete range of Liebherr on- and off-road machines, comprising some 10,000 machines per year. In awarding the contract, Liebherr Machines Bulle were looking for a partner who could support them with technical system development as well as the manufacture of the final units. Eminox has supplied exhaust systems for non-road original equipment manufacturers since 1988 and has experience of integrating technologies, including DPFs (Diesel Particulate Filters) and SCR, combined with the applications engineering expertise to meet the most challenging system integration requirements. One of the key objectives was to keep the number of exhaust system variants to a minimum while working within the limited space available for mounting the systems on many of the machines. Eminox met these requirements by using novel system geometry and innovative urea injection points coupled with advanced mixing. System development was supported by CAD (Computer Aided Design) CFD, (Computational Fluid Dynamics) simulations, acoustic modeling and back pressure calculations. Eminox’s rapid prototyping capabilities meant that prototypes could be produced at each stage of development.and Liebherr could then test them on their own engine beds to confirm modelled performance. Having designed and developed a range of systems to cover the whole range of Liebherr engines, Eminox’s flexible cellular manufacturing capability means each variant can be manufactured efficiently, in response to future demands. For further information on Eminox’s OEM capabilities, please visit. www.eminox.com/original-equipment. Liebherr is one of the world’s leading manufacturers of construction machinery with more than 35,000 employees in more than 130 companies across all continents. The Group’s product range includes construction, mobile and maritime cranes, earthmoving and mining equipment. Liebherr Machines Bulle SA is based inSwitzerlandand produces the diesel engines and other components for the Liebherr group machines. At the moment Liebherr supplies six different basic engines in the power categories from 160 to 750 kW that comply with EU Stage IV / EPA Tier 4f. The 4- and 6-cylinder inline engines, the V8 and V12 are specifically designed for mobile offroad applications and are ideally suited for earthmoving and mining equipment, cranes, agricultural and special machinery. Liebherr diesel engines are not only used in the Group’s construction machines but also by customers outside the Liebherr Group, for example in mining equipment, other manufacturers’ construction machinery, special-purpose vehicles and many other applications. 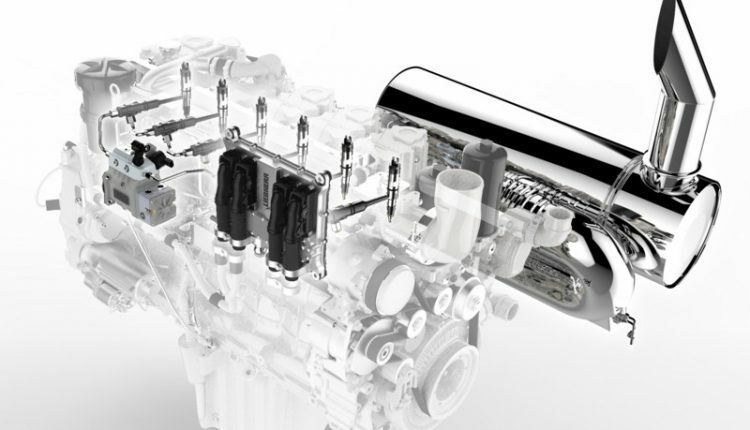 In the first quarter of 2013, Liebherr presented its new generation of diesel engines complying with EU Stage IV / EPA Tier 4f exhaust emission regulations on the BAUMA trade fair inMunich.